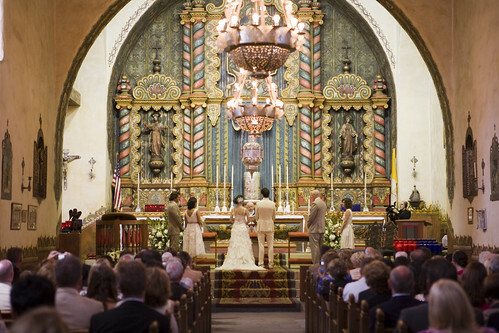 As our summer wedding season nears its end here in Santa Barbara, we want to share some photos of another wedding we coordinated for Chantal & Mat in July. 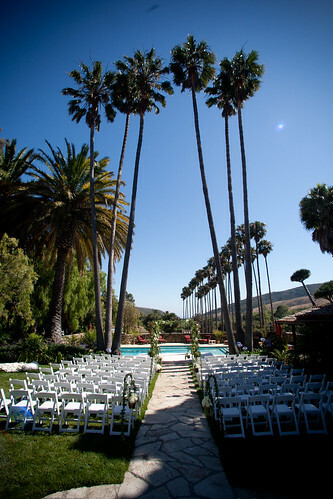 The wedding was hosted on a private ranch North of Santa Barbara along the coast. 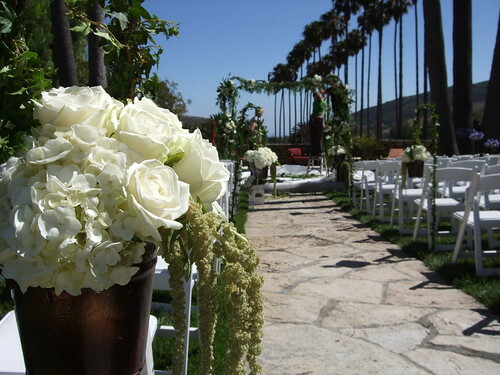 We worked with a great set of local vendors to create an incredibly beautiful scene. 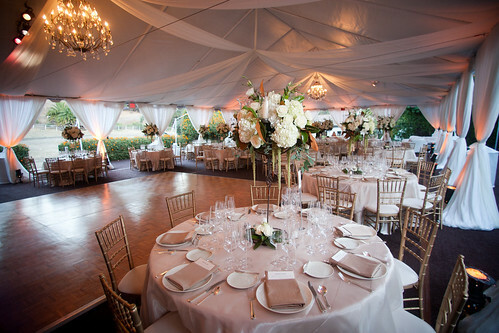 Events by Philippe handled all the catering and menu design for the reception. The wonderful photographs come from the team at David Michael Photography; they did a fantastic job at capturing everything in photos and video. 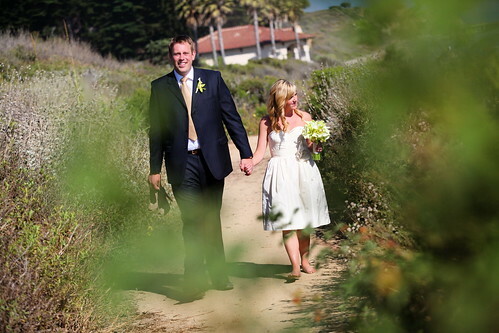 This July we coordinated a wedding for Skye and Eric at the Bacara Resort in Santa Barbara. 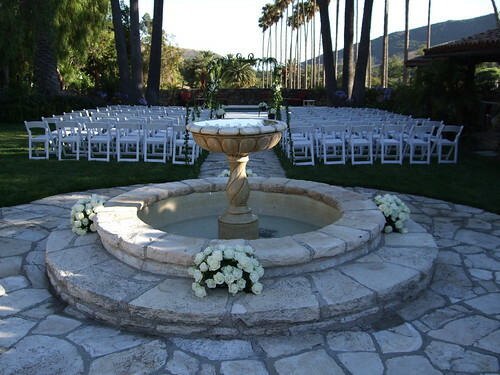 Both the wedding ceremony and reception were hosted at the resort. Photographs were taken by Baron Spafford. We have added a new gallery of images to our events showcase. 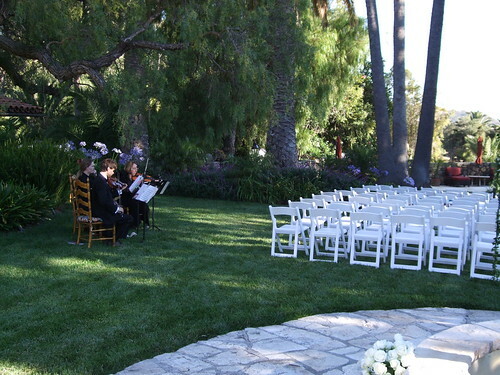 These are photos of an event we did last week here in Santa Barbara for the Juilliard Quartet. The event was put on by UCSB Arts and Lectures. Photographs by Ahnika Johnson. 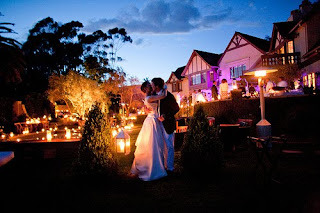 We have added a new gallery of images to our wedding showcase. 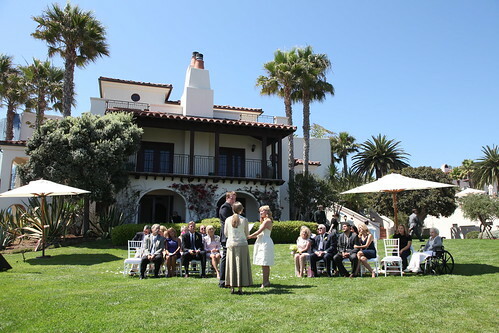 These are photos of a wedding we did last year (September 2009) here in Santa Barbara. Photographs captured by Mike Larson Photography. 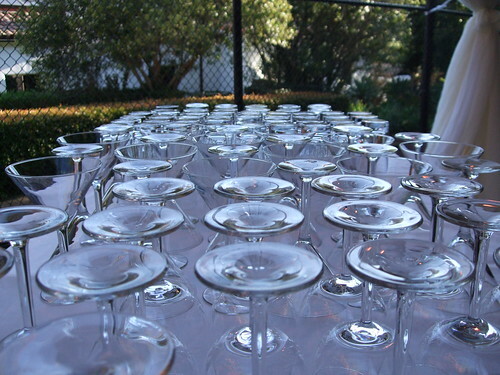 What is your biggest day of wedding fear? I think most of us would say that that we have had nightmares about some of the things that could go wrong on our wedding day. 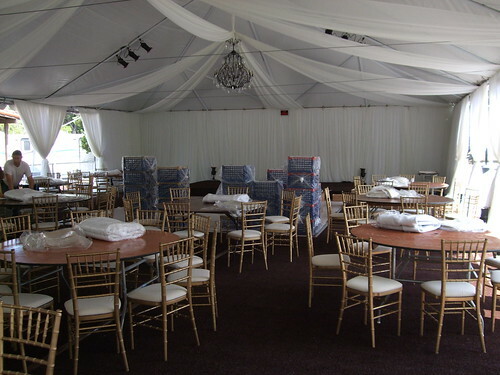 I had dreams of getting married in the wrong dress, my tables not being set up come reception time, and the band playing the YMCA song the whole night. 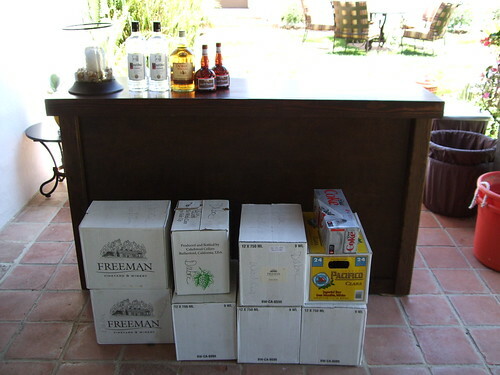 My sister-in-law was on a tight budget and had planned every part of her own wedding to the very last detail. However, when it came time for everything to begin, none of the vendors knew who to talk to so they went straight to the bride. Imagine the stress she must have felt! 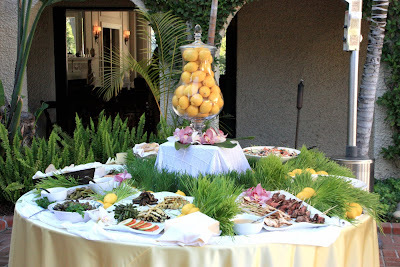 The caterer approached her about the food. 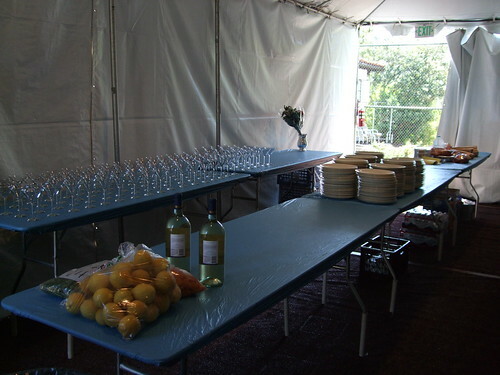 The site manager asked her why there weren’t enough tables. Her own cell phone even went off during the ceremony and no one was able to find it! My sister took DIY to a whole new level, but even she would tell you that it was a mistake not hiring someone to take over on the most important day of her life. So why do we do this to ourselves? Why do we cut back on budgeting in a coordinator to help make everything run smoothly on our wedding day? Perhaps we’ll choose instead to go with a friend that is willing to help, or a relative hoping to oversee things. 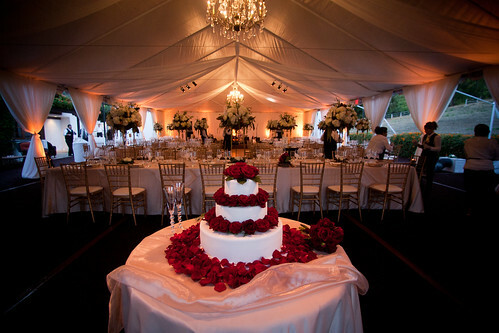 The truth of the matter is that our weddings are a time of celebration. Friends and relatives can become distracted by the excitement of the festivities and forget to make sure that everything is going according to plan. 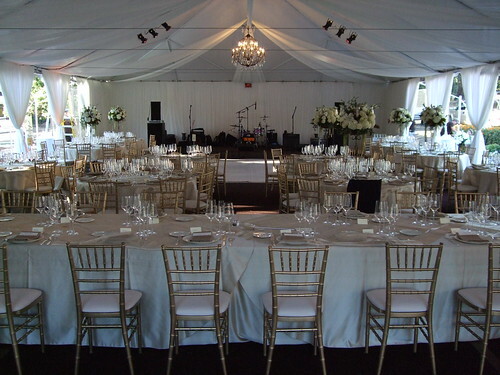 Whether it is a forgotten bouquet, a lighting vendor who doesn’t show up, or an attendant who has gone overboard with the open bar, hiring a wedding coordinator could simply make your life a whole lot easier. Experience – Knowing what to do in case the worst happens will be a walk in the park for a coordinator who has a couple of years behind them. They will also have an idea of which vendors would be your best fit. 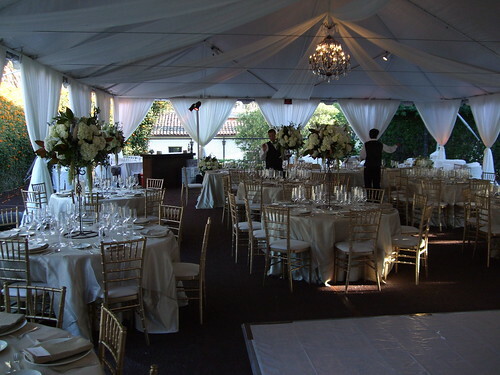 Vision – Bringing in a professional will assure that the design of your wedding is exactly what you had anticipated and more. Cost-Effectiveness – Hiring a coordinator will most likely save you money. You may spend hours researching hotel rates and blocking off rooms, while an experienced planner may already have the answers for you. 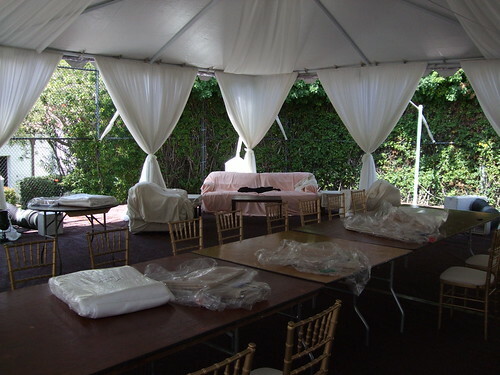 Plus, day of the wedding you need to feel confident that you are getting your money’s worth from each vendor…a coordinator will oversee everything that goes on. Time – This is a no-brainer. 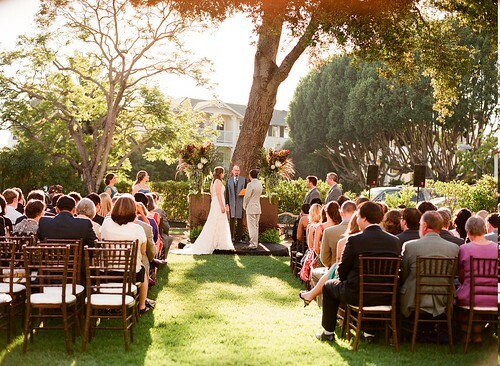 Some brides spend up to 200 hours planning their wedding and researching vendors. Why waste so many hours when a professional has spent years accumulating a list of the best. Security – A coordinator will keep the other vendors on their feet and watching their steps. It’s hard to slack off when you know there is someone constantly watching. Stress Relief – It’s should come as no surprise that having every person you love in the world all in one place at one time can be overwhelming. A planner helps you focus on enjoying yourself and your loved ones without thinking about anything else. Creative Design – With so many options it may seem at times impossible to make a decision. 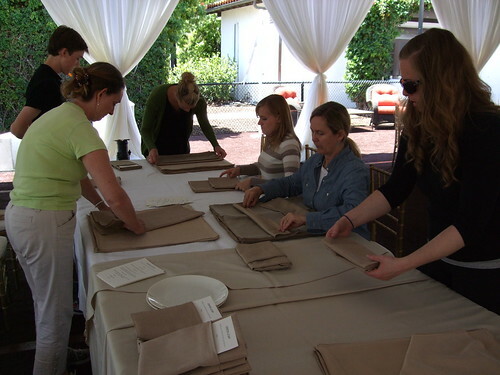 Should you go with the celadon green table cloths or the kiwi green table cloths? A coordinator can help you reel in the indecisiveness and come to quick decisions. 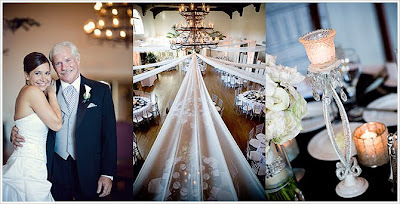 Peace of Mind – Knowing that there is someone you have hired to make sure that your wedding day is unique, personal, and precisely what you imagined makes a world of difference. 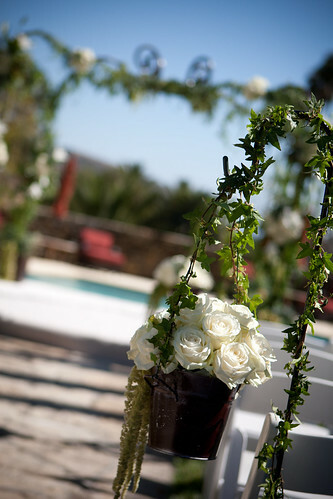 We have added a new gallery of images to our wedding showcase. 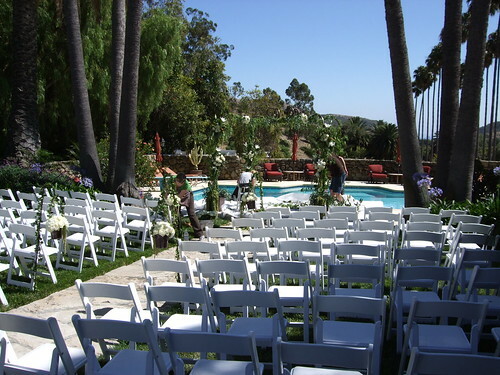 These are photos of a wedding we did last year (June 2009) here in Santa Barbara. Beautiful images captured by Michelle Warren Photography. 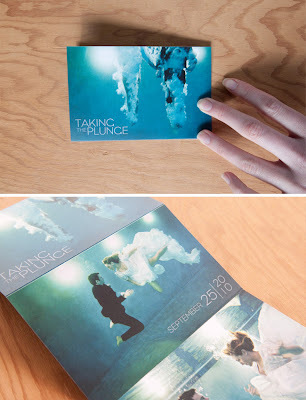 Green Wedding Shoes posts about a catching Save The Date invite that was photographed by Kelty from Steep Street. Great inspiration for card design & photography! 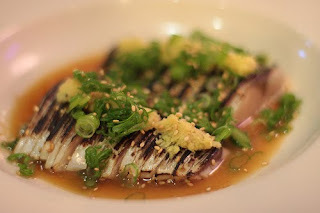 Dan Barber gives a thought-provoking speech about different ways of farming fish. 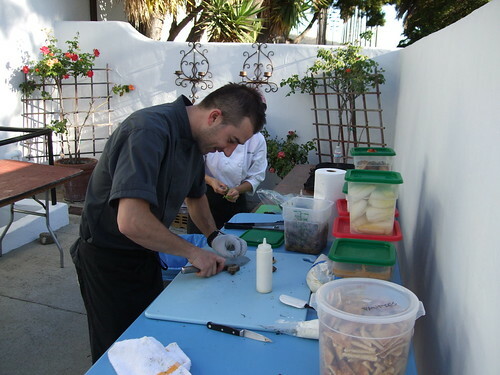 Events by Philippe had the privileged of catering an event at the Granada Theater for the Santa Barbara Event Professionals. We are delighted to be featured in Infocus Studio's pictures from the event. 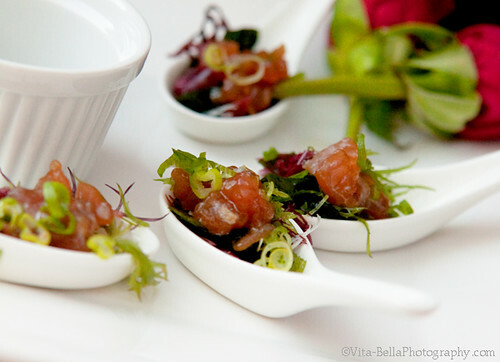 Events by Philippe had the honor of being mentioned in photographer Dia Rao's blog this past summer. 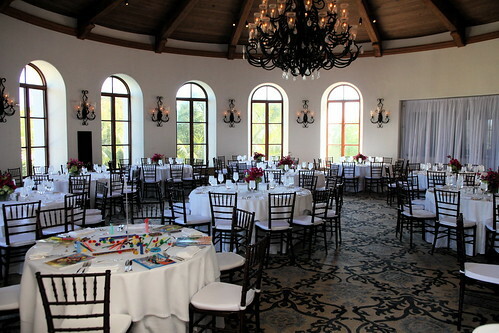 The photos are from a wedding we coordinated at the Montecito Country Club. 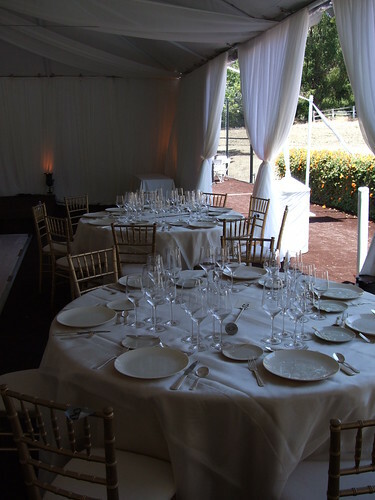 View Dia Rao's blog post about the wedding.